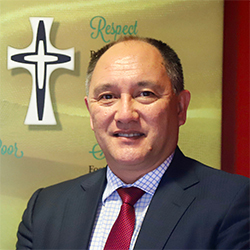 St Joseph’s School is an inclusive Catholic co-educational school catering for students from Prep to Year 12. Founded by the Sisters of Mercy in 1875, the school offers a seamless Prep to Senior education for families in the Granite Belt region of Southeast Queensland and Northern New South Wales. Students will come to know Jesus. We aim to provide all students with the teaching, environment, culture and resources to enable them to excel academically, spiritually, physically, culturally, emotionally and socially. We strive to ensure students have access to expert teachers, teachers who understand the differing needs of their students; who provide high quality, core teaching in the classroom; who use data to inform practice and effective feedback to improve learning. The school’s Visible Learning Program is at the heart of our teaching and learning. Visible Learning is when teachers see learning through the eyes of the student and students see themselves as their own teachers. Through this program we set high expectations of all students and strive to inspire and develop lifelong learners equipped for the 21st Century. The wellbeing of our students is central to our caring school environment in which all students are accepted and valued. Our teachers develop nurturing relationships with their students and provide meaningful learning opportunities for them outside the classroom. Our students lead, teach and support each other. The success of the school over many years is evident in our students’ exceptional NAPLAN and OP results and, guided by our Mercy Values, their service to, and connection with, our local community and parish. I invite you to explore our website and experience what we have to offer.